The classic hoop with a twist! 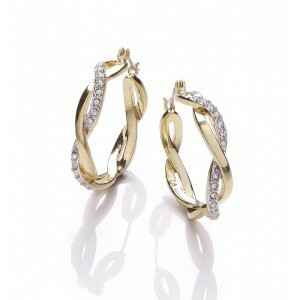 Plated using 18k gold and rhodium, these earrings have been hand set with clear Austrian crystals. With creole fastenings these earrings are suitable for pierced ears only. Diameter 30mm.